Star Trek has been off the small screen for a long time, 12 years in fact. 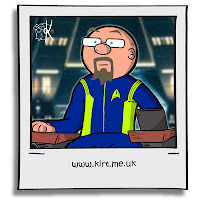 So when rumours began to surface about a new television iteration of my favourite franchise I was naturally very excited. Then came the teasers and news that the show would be a streaming only show and very different to what had come before. I had no reason to worry because what I was presented with was nothing short of brilliant. Yes it was VERY different to what we had before but it was required to bring to show up to a more modern standard. Having a continuing story arc is expected these days rather than the previous 'reset' and the end of every episode. The quality of the writing, production, visual effects etc were high and every episode left me wanting more. 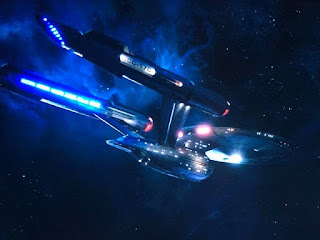 There are a group of haters out there who comment on social media posts saying "this is not my star trek" or "those are not klingons", to those people I say calm down. It's a tv show at the end of the day, if you don't like it then don't watch. Easy? I think so. One of the biggest criticisms from these people is the redesign of the Klingons. Now I love Klingons, I have a Klingon symbol tattooed to my arm. Initially I was skeptical but soon won over. 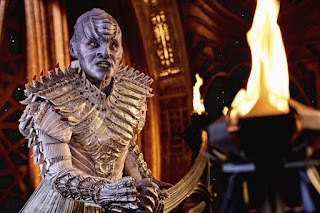 Klingons have changed their characters and appearance many times in the past, this is science fiction and could easily be explained away at some point in the future. Just look at the human race, we don't all look and act the same. So the finale came and wrapped up the story in classic Star Trek fashion, not with epic space battles but with cowboy diplomacy. But that wasn't the end. The final scene ended with the arrival of the USS Enterprise (NCC1701). With season 2 confirmed we now have a wait ahead, filming starts in April.